Does a Concealed Carry Gun Need an Accessory Rail? What Is An Accessory Or Picatinny Rail Good For? A lot of pistols these days come straight from the factory with a Picatinny rail or accessory rail on them. These rails are used to attach accessories such as flashlights or lasers sight systems on handguns. Having a Picatinny or Universal rail system has made for great improvements in tactical applications. The military and law enforcement communities have proven the value of having the ability to utilize lighting and other accessories in low light emergent field situations. Does the civilian carrier need one, though? There are basically two types of rail systems used on pistols: a Picatinny rail or a Weaver rail. Arguably, the Picatinny rail is the more commonly used system. The better light and laser sight manufacturers engineer their rail mounted flashlights to fit on both types of rails, and are called universal rail mounts. The Weaver rail was developed in the mid-20th century as a platform for attaching scopes to rifles by the WR Weaver Co., which manufactured telescopic sights. The Picatinny rail, an improved Weaver rail, was developed in the 1980s and adopted by the US military in the 1990s. For those pistols that do not come from the factory with a dedicated rail system, there are companies that make accessory rails for any given surface such as the trigger guard or upper receiver. 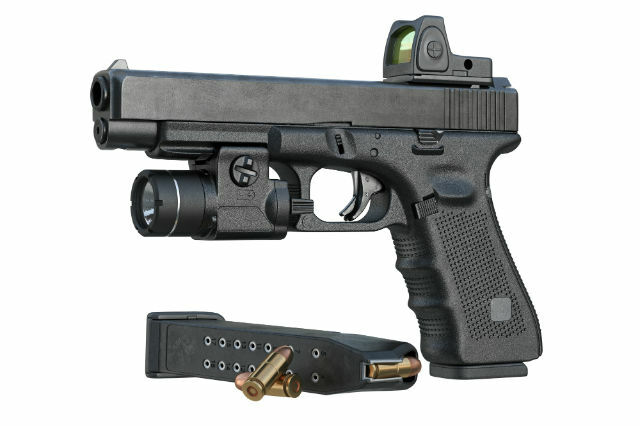 The handgun flashlight or laser sight needs to be securely attached to the rail, in order to withstand the shock of firing bullets over time. The proven efficiency of accessory rails for law enforcement and military applications hasn't been overlooked by the civilian population for their home self-defense needs. Having a handgun tricked out with laser lights, etc. can come in handy when a threat needs to be neutralized in the middle of the night. There are benefits and drawbacks to anything and accessory rails are no different. One of the main reasons for not having an accessory rail on a concealed carry handgun is the added weight. Handguns can be heavy enough without any frills being added. 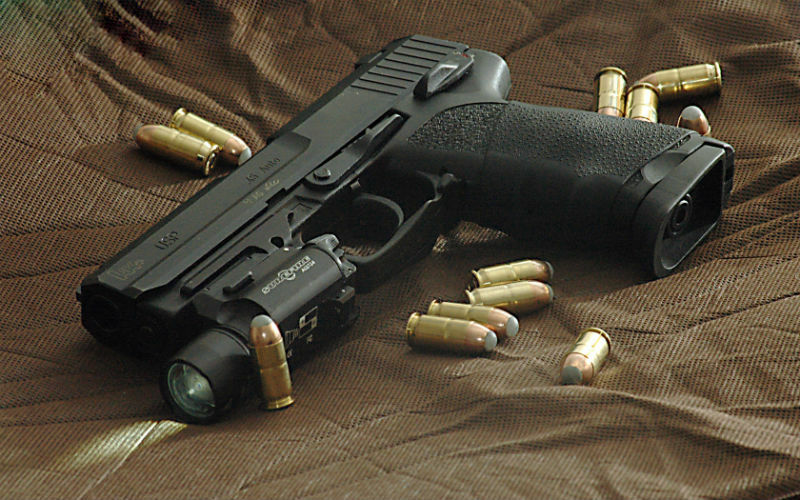 Attaching a rail and adding flashlights or laser sights can significantly contribute to the overall weight of the pistol, and make for a more difficult draw. In addition to the added weight of a rail system, one must take into account that the lighting or other scoping accessory can add to the difficulty in making a rapid and efficient draw. One should constantly practice their draw and re-holstering techniques with the additional weight and accessory interference in order to become proficient if a life or death situation should present itself. Not very many concealed carry holster manufacturers offer models that will accommodate both the handgun with a rail and accessory attached to it. In that case, one would have to carry a light in their pocket or somewhere else around the body. Some people say that it is better to have a rail and lighting system and not need it, than to need it and not have one. But that is for each individual gun owner to decide. Accessory rails and other attachments can be expensive. The handgun models that come with factory installed rails can be more expensive than the same model gun that comes without them. You would have to determine if the added costs are worth the benefits of having an accessory rail system. Some people just don't like the way their handgun looks and feels with an accessory rail attached to it. A lot of 1911 gun style enthusiasts believe that adding a rail would spoil the traditional aesthetics of the gun. There is no blanket yes or no answer to the question of whether-or-not one really needs an accessory rail. There are other lighting systems that do not require attaching them to an accessory rail. Replacing the factory grips with laser grips on pistols and revolvers is a popular system for some gun owners. The laser activation switch is placed in such a way that the laser can be activated when the gun is held naturally in the shooting hand. However, care must be taken not to obscure the path of the laser beam with the support or shooting hand, thereby rendering the laser virtually useless. Laser guide rods are also an alternative to accessory rails. There is no external mounting required for this system. All one has to do is replace the original spring guide that came on your pistol with whatever model laser guide rod you purchased. These laser guide rods are great for concealed carry purposes as they generally fit your existing concealed carry holster. 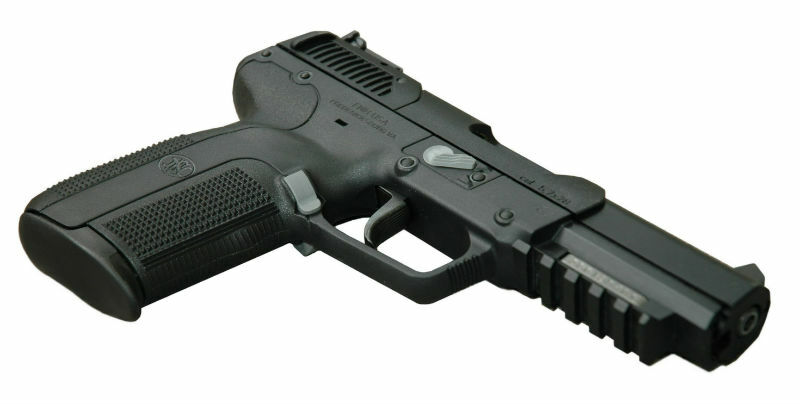 A laser sight that attaches to the trigger guard on your handgun is another alternative to an accessory rail. These can be attached directly to the trigger guard without attaching a rail system, and are quite effective, but finding a concealed carry holster that accommodates them could be difficult. Taking all things into consideration, having an accessory rail attached to a handgun that you carry for concealed carry purposes, may not be a practical choice. The problems associated with finding a concealed carry holster for the gun, as well as, the draw and re-holstering difficulties due to added weight and sight interference, can't be ignored. The best application for civilian use of a rail-added handgun is better suited for home defense when concealed carry is not a requirement. In that situation, no gun is too big to keep at home and ready for use. But, since you probably spent a fortune on the gun and the bells and whistles attached to it, keeping the weapon safely stored in your gun-safe might be a better idea. These are some issues to think about when deciding whether or not to add an accessory rail to your handgun. I have a .357 / .22 SIG MODEL P226 equipped with a Viridian X5L green laser/flashlight ( I have retired all my red lasers since I feel they are worthless during day light). 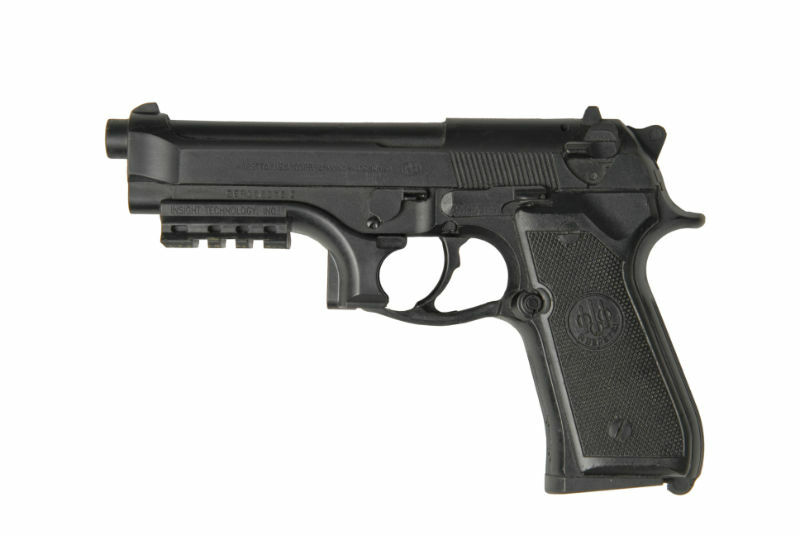 Having multiple models of pistols and sighting devices can be confusing in an emergency. With the Viridian setup one just has to pull your weapon from it's holster and start firing. The light and laser operate instantly and extinguish when returned to your holster. The only drawback is the unavailability of leather holders that meet my liking. I have designed and am in the throes of building a cross draw holster for my SIG and two of my other defence weapons. I consider my Viridians an absolute necessity. They also do not extend beyond the barrels making an attractive setup. Yes the entire package is a bit heavy and bulky but goes unnoticed after a while since I 100 % carry. As far as price, choose a weapon and accessories that you love no matter the price. If you must save up a little longer and trash the butts & beer for a while you won't be sorry !